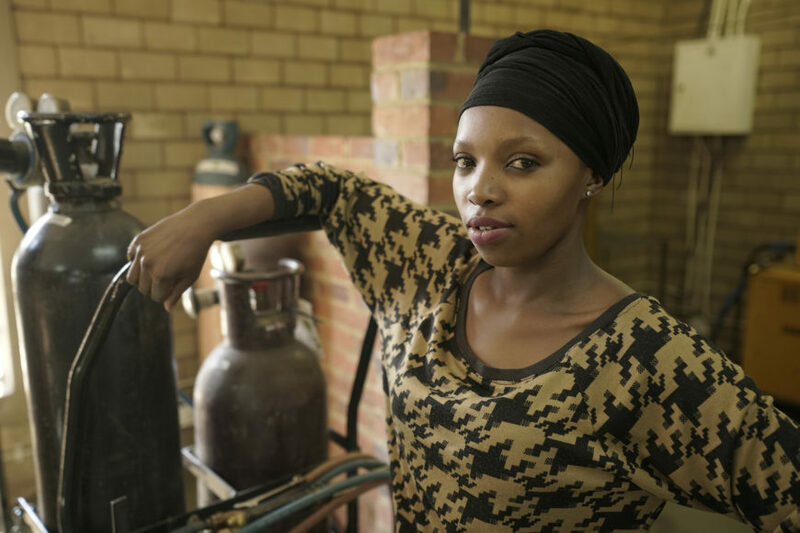 With a third of young South Africans marginalised from work, training and employment opportunities – there are over 8 million young people itching for opportunity. As Shakira Maharaj points out, young people are ready to make the most of what they get. This past weekend was a big one for South Africa – the last chance to register to vote in the country’s sixth national and provincial election. By the 29th of January, close to 580 000 more people under the age of 30 had registered to vote – bringing the total number of potential young voters to just over 2.6 million. Admittedly, 6 million young people have not registered, but 81% of all new registrations were from people under the age of 30. Given the media focus on youth apathy towards mainstream politics, we were curious to hear from young people who decided to register. Youth Capital is a small start-up campaign working to ensure that every young South African has the skills, support, and opportunity to get their first decent job. As is typical of most start-ups, we’re a small team with big ambitions. We want to draw attention to a focused, national youth employment agenda, and our first step has been to speak to young people, face-to-face, about the issues most pressing in their lives. In these conversations across the country, we’ve heard their frustrations, but have also sensed their abundant energy and genuine optimism for the future. Two days before voter registration weekend, we tapped into our small but growing network via Facebook to ask if anyone was interested in hitting the stations to ask young people why they were registering – and what they hope to see in 2019. We didn’t expect many takers, but after 30 minutes we were overwhelmed by messages from young people chomping at the bit to get out there. We recruited six young reporters – with little idea of what to expect of them. They received no payment; they were simply provided R100 for transport and half a GB of data each. Why? Because these basic resources are two of the major barriers young people face when trying to seize opportunity. More than half of young South Africans live below the upper-bound poverty line of R1183 per month. Yet research shows looking for work costs a young person around R500 per month – most of which is directed towards transport and internet access. That means almost half of a young person’s total monthly income is spent on the unrelenting, and often unrewarding, task of looking for work. Armed with these resources, the feedback from our young reporters was phenomenal. Of course, corruption, skills development, education and employment were top of mind. But many young people also drew the link between national elections and parliamentary representation: they want to see younger people in parliament; people who can relate to them and their struggles. They had a sense that young people have visions and goals, but lack the social and financial capital to translate these into reality. The stories we heard were nuanced and articulate. A voice note from 22-year-old Esethu Sotheni, a final-year student at the University of Fort Hare, stopped me in my tracks. He managed to interview the Eastern Cape MEC for Economic Development, Environmental Affairs and Tourism, Lubabalo Oscar Mabuyane – the man described as ‘tough talking’ by the Daily Dispatch because of his stance that Mthatha has descended into chaos because of city management. With nothing but his cellphone and a bundle of data, Esethu pressed MEC Maybuyane on the difficult questions. He asked why young people should register to vote. The MEC responded that the strength of our constitutional democracy relies on the national youth vote – that young people ultimately need to chart their way forward through political participation. Next, he wanted to know what young people could people expect from the government in 2019? MEC Mabuyane honed in on free higher education, emphasising that the State plans to build on last year’s momentum. Finally, Esethu pushed hard on youth unemployment – wanting to understand where government’s focus would lie in 2019. The MEC prioritised curriculum review in higher and secondary education institutions, stating that South Africa needs to develop creative, innovative young adults who are not only employable, but able to create jobs. Listening to this exchange, it’s clear that the youth dividend could be South Africa’s greatest asset. Esethu was brave, focused and hopeful. When I heard them talking, I couldn’t help picturing David and Goliath. There are 20 million more young people like Esethu in South Africa. Many of them are understandably demoralised by their social and economic isolation. And yet, millions of young people take up the challenge every day, looking for work when the odds are against them; taking up opportunities where they see them. If we crowded in around young South Africans, would our future be as brave, and focused, and hope-filled as they are? Yes. I think it might be. Listen to the interview with the Eastern Cape MEC for Economic Development, Environmental Affairs and Tourism, Lubabalo Oscar Mabuyane, here. This article was republished by The City Press on 03 February 2019.